One of the many options in creating a child these days is that of surrogacy and donor sperm. 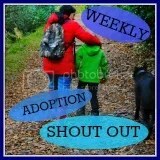 This option – like adoption – is lauded as a valid and valuable way to “create a family”. Also similar to adoption, the kids that are created in this way are frequently described as gifts – thus negating their status as human beings, and instead consigning their existence to nothing more than a commodity to be handed over to their purchaser/s. In accordance with adoptees, there are many donor conceived off-spring blogs springing up that echo the losses adoptees face, however, this post is less about those more usually expressed losses, and more to do with something that has been niggling me of late. Gestational surrogacy is when a woman carries a baby to term for a couple. The gestational surrogate or carrier doesn’t donate her own egg, so she’s not biologically related to the child she carries. Rather, the egg and sperm come from the couple or from a donor egg and/or sperm. … and that people can be believing this is a truthful synopsis of the situation. Surely if the gestational carrier and the developing embryo share a symbiotic relationship, then the child that is later born – whether it originated from an egg produced by its carrier or otherwise – does have some genetic relationship with its carrier that is being readily dismissed as unworthy of mention and/or research? I would appreciate any knowledgeable input on this subject as I admit, it is a subject I know very little about. However, I am concerned that these connections – as with the connections adoptees possess with their genealogical families – are being reduced and mitigated, perhaps in an effort to negate the importance of the nurturing role these carriers bear in order to further exploit women’s reproductive capabilities.